The Copyright Amendment Bill and the Performers Protection Amendment Bill are drafted so that actors will never again be forced to sign away all their rights in exchange for a meagre daily performance fee. Never again will actors be mocked and told to ‘either take it or leave it’. The Bills stand for industry transformation and they have already been adopted by the National Assembly! Through various channels, SAGA has been lobbying government and the DTI to effect changes to the existing Performers Protection Act which dates back to 1967 and which fails to protect the rights of actors in today’s environment. On 5th July 2016, Minister of Trade and Industry Rob Davies published a notice in the Government Gazette of his intention to introduce the Performers Protection Bill into Parliament. "To amend the Performers Protection Act No 11 of 1967 so as to insert or substitute certain definitions; to address issues relating to the payment of royalties to performers; to safeguard the rights of contracting parties; to promote performers' moral and economic rights for performances in audiovisual fixations; and to provide for matters connected therewith". A Portfolio Committee has subsequently been established and interested individuals and stakeholders have been invited to submit written comments on the Performers Protection Amendment Bill [B24-2016]. Below is a summary of the major amendments proposed to the existing Act, particularly as they pertain to ACTORS. It is proposed that the term – broadcasting - is understood to include any and all technological means (including wire, wireless, satellite, encrypted signals) that are employed in distributing the performance, either by the broadcasting organisation itself or “with its consent”. It is clarified that – communication to the public of a performance – would include the transmission to the public via any medium, either the visuals, the audio, or both the audio and visual aspects of the performance. The definition of a – performer - is amended to include “actor, singer, musician, dancer or other person, who acts, sings, delivers, declaims, plays in, or otherwise performs literary, musical or artistic works”. There are also amendments to the terms “phonogram”; “reproduction”; and “Tribunal” which are legally technical and which make reference to other areas of legislation which exceed the limits of this summary. 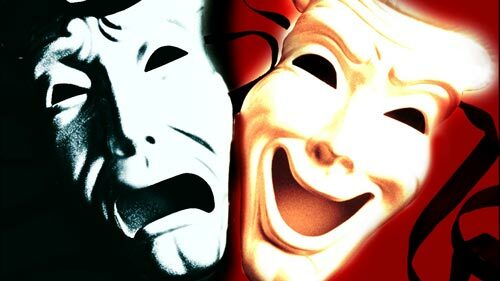 The Bill proposes significant changes to the Principal Act in terms of recognising the actor’s moral and economic rights in connection with their performance. The Bill recognises the actor’s moral rights in their performance to be separate from their economic rights. This means that, irrespective of receiving compensation for their work, the actor retains the right to be identified (credited) as the performer, and to object to any distortion, mutilation or modification of his or her performance that may adversely impact their reputation. These rights are protected after the actor’s death until such time as the performance passes into the Public Domain in terms of copyright legislation. The Bill envisages that the actor retains the exclusive right to authorise that their performance be broadcast, fixed (or recorded), reproduced (in any manner or form), made available (or distributed, whether by sale or otherwise). The actor also retains the right to authorise their performance to be made available through rental, or transmission through cable or wireless services that allow recordings of their work to be accessed and streamed. The Bill makes provision for an actor to transfer certain rights (excluding their moral rights), under certain conditions. Where an actor has consented to allowing a recording of their performance, the actor agrees to allow certain rights to be transferred to the owner of the recording. However, this is subject to a “written contractual agreement which shall give the performer the right to receive royalties for any use of the performance”. It is proposed that such right to royalties expires after 25 years, unless agreed otherwise by the contracting parties. The Bill makes provision for record producers to be protected in their commercial exploitation of phonographic recordings, while ensuring the composer and performer receive equitable royalties. The Bill proposes amendments to Clause 5 of the Performers Protection Act (No. 11 of 1967) which give effect to the economic rights of the performer. It allows for the actor to provide consent that their performance be recorded and to prohibit unauthorised recordings to be made (including pirated copies of legitimate recordings). It creates an obligation on the part of a person who intends to broadcast, record and/or distribute the performance to give notice of their intention to the performer, his or her representatives or a collecting society. It provides for resolution mechanisms – through the Copyright Tribunal (established by the Copyright Act) - should the performer, his or her representatives or collecting society reject the proposal or wish to negotiate terms and conditions. It is made clear that unless there is a specific agreement to the contrary, a performer’s consent to the broadcasting of their performance does not include consent to the rebroadcasting or copying of the performance for future distribution. The Bill is unequivocal on the payment of a royalty to actors where there is further commercial exploitation of the performance, whether it be through a re-broadcast, transmission through a diffusion service, sold or rented out (licensed). If there is no agreement to the contrary, the copyright owner is obliged to retrieve royalties or fair, equitable remuneration on behalf of the performer. The Bill stipulates that such monies are paid across to the performer in a manner that is agreed upon between the performer and the copyright holder, or between their respective collecting societies. If there is no agreement as described above, the matter can be referred to the Copyright Tribunal, or the parties may agree to refer the matter for arbitration. A performer’s consent would not be required should the recording be for private study or personal, private use. Only short excerpts of the performance may be used for the purposes of criticism and review, and the performer’s moral right is protected. The performer’s consent would not be required if the recording were to be used for scientific research, teaching or in legal proceedings. The Bill makes provision for sanctions where attempts are made to pirate the recordings of a performance through circumventing technological protection measures. This brief summary is for the purposes of informing actors in particular as to the implications of the Performer’s Protection Amendment Bill 2016. Performers are encouraged to consult the document itself for more information and to engage in discussions around the Bill. Written submissions can be addressed directly to the Portfolio Committee, or forwarded to SAGA for inclusion in our written and oral presentations.